A strategic marketing funnel is what separates a website with a high conversion rate from a website without one. Many businesses are continuing to rely on outdated online sales funnels that fail to account for changes in market trends and consumer behavior. 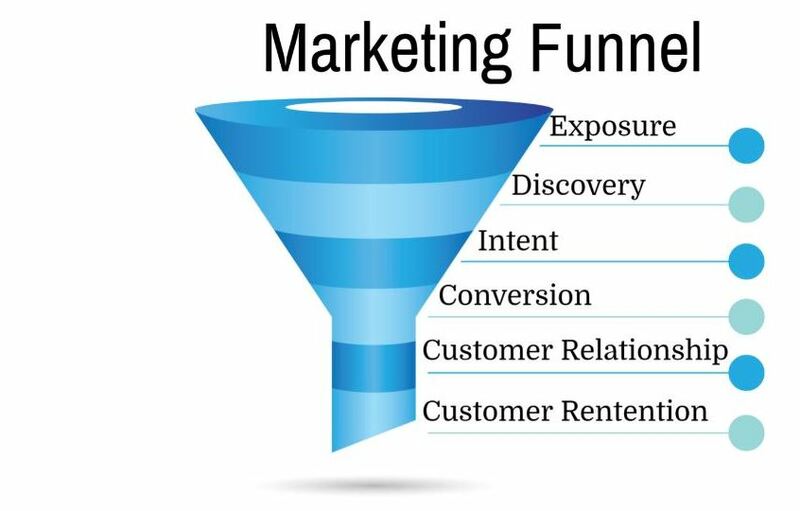 An effective marketing funnel is critical for maximizing your business’s performance and profits. You can’t afford not to optimize your sales funnels for today’s digital environment. At SEO Brand, we work with our clients to optimize each aspect of their digital funnel pages and identify any discrepancies in the conversion process that are impeding visitors’ journeys from strangers to leads to customers. We use customized content, efficient website designs, and innovative lead generation techniques to correct discrepancies and better lead your site’s traffic through the conversion funnel. Our goals are the same as yours. We want to help you increase brand exposure, convert visitors into leads and leads into customers, and retain customers through exceptional follow-through services. We can accomplish this by optimizing your digital marketing funnel. There are six steps to the traditional marketing funnel, and all of them need to be optimized if you want to outrank and outsell your competitors. You may see these steps qualified with different terms depending on where you look, but the general outline of the journey is the same. The process of creating and harnessing brand awareness. Techniques for increasing brand exposure include search engine optimization, ad campaigns, the creation and marketing of high-quality, share worthy content, and the use of social media for building a strong community and encouraging engagement. The process of capturing a visitors attention upon their initial visit to your website and encouraging them to stick around. This is the stage when visitors are being introduced to your content and learning about your brand, including who you are and what types of products and/or services you offer. To encourage discovery, you need to promote a positive, trustworthy brand identity and actively guide visitors through what you have to offer. The process of influencing a visitor to become a customer. At this stage, your website needs to be proving the value of your product, service, and brand, and taking actionable steps geared toward lead generation. Some converting actions do take place in this stage, such as sign-ups for email listings, download of assets, and filling out forms. The process of a visitor completing a converting action on your site that officially makes them a customer. For ecommerce websites, the conversions you’re looking for are sales conversions. The process of optimizing the post-conversion experience. There is more profit to be made from keeping your current customers happy than from focusing primarily in bringing in new customers, so this stage is very important for your overall success. At this point, you need to be creating a positive experience around product or service fulfillment and customer service. The process of continuing a positive customer relationship even after the sale is fulfilled. Customers who have great experiences tend to return for future purchases, so you should be continuing to positively engage and encourage additional sales. SEO Brand is an all-encompassing digital marketing company with a deep understanding of the marketing funnel and how it interacts with all aspects of your online marketing strategy. When you work with us, you get a personalized team of SEO experts, copywriters, designers, and tech pros who will help you optimize your website, bring in more traffic, and increase your conversion rate. Digital marketing funnels are a critical part of your business’s growth. With help from SEO Brand, your website can benefit from a custom designed and executed marketing funnel plan that generates more leads and boosts your conversions and sales. We’ll use today’s top proven digital funnel trends and insights to create a plan that works, and we’ll check in with you regularly so you’re up to date on improvements and successes. Get in touch with us at 800-262-5023, send us an email at info@seobrand.net, or shoot us a message through our contact page and we’ll get started on building you an effective marketing funnel strategy that will help you outsell the competition and keep customers coming back.